Steve Kain, BSN(c), RN, is the Senior Nursing Coordinator at the BC Centre on Substance Use (BCCSU). He oversees and coordinates the nursing staff at all the frontline BCCSU studies, which include the Vancouver Injection Drug Users Study, the AIDS Care Cohort to Evaluate Exposure to Survival Services, and the At-Risk Youth Study. 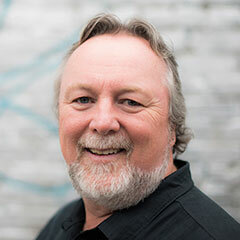 Steve has been with the Vancouver Injection Drug Users Study since 1997 and played an integral part in designing and setting up the day-to-day nursing operations within all the frontline studies. Steve was also involved in the start-up of the Maximally Assisted Therapy program, Insite, and the North American Opiate Medication Initiative study, and continues to work in a frontline capacity by supporting both staff and clients. Steve received a Bachelor of Science in Nursing from the University of Victoria. Outside of the BCCSU, Steve enjoys skiing in the winter and taking advantage of BC’s outdoor activities in the summer.